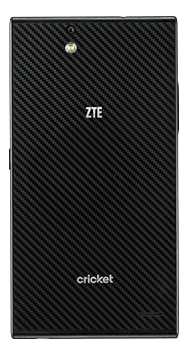 The ZTE Grand X Max+ was announced by Cricket Wireless and ZTE at CES 2015. Learn more about the phone. As you can see from the screen size the ZTE Grand X Max + (plus) is a phablet. The specs are decent but it’s not that of a powerhouse phone. The phone will be available on Cricket Wireless. Cricket is known for their affordable no-contract plans. They start as low as $35 per month. ZTE is bringing a phablet to those who want a bigger screen but not necessarily more power. It’s an affordable alternative. According to a recent consumer insights ZTE-sponsored survey, 83 percent of respondents said they are interested in having a bigger phone but only 22 percent were willing to pay a higher price for it. The top reason for wanting a bigger screen size is better web browsing experiences, more immersive gaming and entertainment and getting more information at a glance. Additionally, the ZTE Grand X Max+ is the third 4G LTE device from ZTE at Cricket and the next in a line of affordable phones that are packed with high-end components. The Grand X Max+ comes out of the box with a powerful set of features such as 13 MP rear-facing camera with 4x zoom and LED flash, 5 MP wide-angle front-facing camera for video chats, selfies, Hangouts™ and HD video. The camera is designed with the average picture taker in mind and also has more advanced settings that enable professionals to customize their image before and after snapping the picture. Cricket and ZTE’s commitment to bringing such devices to market is evidenced by the powerful set of features available on the Grand X Max+.